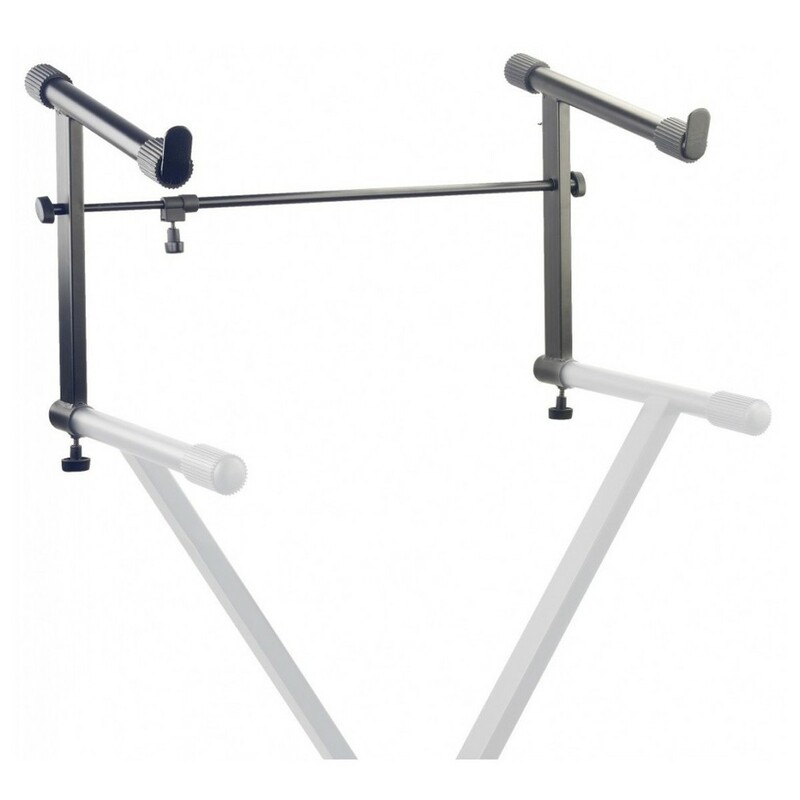 The Stagg KXS-AE Keyboard Stand Extension Brackets offer space solutions for both live and studio musicians. The brackets have an adjustable length to suit a whole range of keyboard sizes. The function is to either provide a raised surface for your existing instrument, or allow you to stack keyboards. The high quality frame is durable enough to endure frequent use on the road. The KXS-AE’s rubberised ends protect your keyboard’s surface, as well as providing a gripped surface. The adjustable screws secure the unit in place, making it a reliable choice for musicians of all abilities.